Do you have a Family Reunion coming up in 2011 or 2012? Not sure where to begin? Now is the time to get started on planning. Join me for a 3 hour workshop to help guide you through using the proper planning tools for a fun-filled, successful, event. Long time, event planning professional and entrepreneur Elaina M. Whitley presents ‘Do-It-Yourself Family Reunion Planning’, targeted towards Event Planners and individuals who are planning their own Family Reunions. This workshop will help alleviate some of the stress involved with dealing with family reunion planning that most of us have experienced. Learn real-life experiences from a successsful, event planning veteran of more than 15 years. The single, three hour workshops will be held in Atlanta at Dunwoody, Buckhead, Vinings or Atlantic Station between April 13th, 2011 through May 16th, 2011. 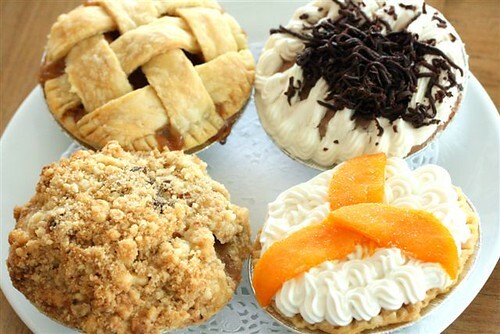 Not just any pie… cute, li’l mini-pies. 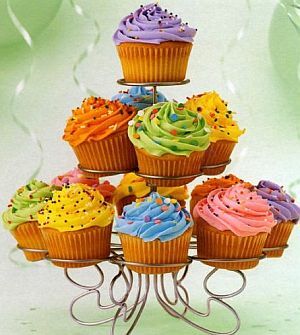 Now don’t get me wrong, I am a lover of cupcakes but yayyy I’m excited for the change. Yumyum! Let them eat pie. Atlanta was ranked the No. 2 most social networking connected city in the U.S.
Men’s Health magazine compiled the socially networking cities list based on the number of Facebook and LinkedIn users per capita, overall Twitter use, and traffic generated by the big social networks. It also based the list on the percentage of households that use chat rooms and blogs. Cities were given a letter grade between A and F. Washington ranked No. 1, followed by Atlanta and Denver. The worst out of the 100 cities? El Paso, Texas, which received an F.
Join ‘Enjoy Yourself Events’ for ‘It’s My Party’ – Event Planning Expo, a celebration of sharing event knowledge, resources and networking for event professionals and individuals who enjoy planning events for friends and family. Open to the public. PRLog (Press Release) – Mar 05, 2011 – Atlanta – On Sunday, August 7th, 2011, hundreds of event professionals throughout the southeast region are invited to meet at the Sheraton Gateway Atlanta Hotel from 11AM – 7PM for a celebration of sharing event knowledge, resources and networking with each other as well as individuals who enjoy planning parties and events for friends and family. Attendees will enjoy live entertainment for the whole family and have the opportunity to view demonstrations such as simple cake decorating and floral arranging. Vendors will have yummy food and dessert samples on display that may be the perfect fit for your next event. The expo is open to the public and all ages are welcome. ‘It’s My Party’ is the perfect opportunity for the hospitality industry and event suppliers to display their products and services on a large scale to potential clients and consumers. Each vendor is expected to meet with hundreds of guests, automatically growing their contact list on-site. Attendees will be able to book event services from vendors on the spot at a discounted rate. Products will also be available for purchase at discounted prices. Whether you are a professional planner or consumer, this is the chance for you to get trendy, creative event ideas and meet a host of event suppliers including: event planners, wedding planners, party and event rental items, caterers, pastry chefs, florists, event entertainers, event designers, photographers, deejays, event venue owners and more from the southeast region. Advanced ticket discounts are available for event professionals belonging to organizations and associations such as: ISES, MPI, NACE, APA, AACWP, etc. Proof of valid membership is required. Discounts also available for ‘EP 101’ certified students. Discounts for on-site ticket purchases will not be honored . http://itsmypartyatlanta.eventbrite.com. Vendors are encouraged to take advantage of the early-bird registration fee starting at $299. Vendor fees may vary depending upon size of booth needed in addition to products or services being displayed. The first 10 vendors to register by April 1st, will have their company logo displayed on pre-event marketing materials and the event banners to be displayed at the venue. All vendors will be listed on the event pamphlet to be distributed to all attendees. Maximize your marketing potential and exposure by becoming a sponsor. Multiples sponsorship levels are available for $150 – $5,000. For vendor forms and sponsorship package information, please contact Enjoy Yourself Events at 404-274-8812 or elaina@EnjoyYourselfEvents.biz. ‘It’s My Party’ – Event Planning Expo will also be making stops in Charlotte on Saturday, September 17, 2011 (http://itsmypartycharlotte.eventbrite.com) and Mobile on Saturday, July 16th, 2011 (http://itsmypartymobile.eventbrite.com). Future cities include: Augusta, Tampa, NYC area and more to be announced. Enjoy Yourself Events was established by Elaina M. Whitley in 2006 after planning events for friends and family for more than 10 years. The company has worked on and/or hosted: Sweet Auburn Festival, Taste of Atlanta, Restoration, Networking For a Cause, Event Planning 101 Certificate Workshop, We Love the Kids and Sweet-Touch Pamper Me Party just to name a few. Enjoy Yourself Events is an event management and entertainment firm specializing in small and large-scale event planning, event marketing, public relations, celebrity bookings, small business coaching and professional coaching. Visit http://www.EnjoyYourselfEvents.biz. Enjoy Yourself Events is based in Atlanta with offices in Tampa and NYC. The company provides services nationally. 1. If the honoree is a friend of yours, then you probably already know what he/she likes as far as favorite things and what the new baby’s nursery theme will be. The theme may be a favorite cartoon character, favorite sports team or favorite color. If you would rather remain neutral or if the parents-to-be have yet to decide on a nursery theme, then you may want to go with a brunch, tea party or buffet-style lunch and include mom’s favorite colors. The important thing is to go with what the mom or parents-to-be are interested in. This is not about what grandma, auntie or best friend likes. The Baby Shower is all about the parents-to-be. 2. Composing the guest list should not be a daunting task. If this is a family Baby Shower, then invite close friends and family. If the guest of honor is a co-worker, then invite co-workers that he/she is close to. Either way, you don’t want to upset the mom-to-be by inviting someone whom she isn’t very fond of. A Baby Shower is a happy occasion and the last thing you want to do is upset the mom at her own party. Keep one thing is mind, even though the average pregnancy lasts around 9 months, that time frame is not the same for every woman. Plan for the baby shower to happen somewhere around 7 or 8 months. If the mom has to travel a long distance for the shower, then plan for the 5th or 6th month of pregnancy. 3. The theme can be used throughout the planning process and carried out in the invitations, decorations, food, games and party favors. If you are creative, have fun making invites by hand, using baby items such as bottles, rattles, pacifiers, mini-footballs, etc. The sky is the limit! There are a ton of websites that not only offer ideas but sell cute, ready-made and personalized invites, games, favors, candy and food as well. I have come across some moms-to-be that want to be hands-on and help with the party. If this is the case, let her assist with making invites and/or party favors. This sometimes happens when the mom-to-be is on bed rest or is already a stay-at-home mom with prior children. 4. The menu is very important for this party. Women sometimes are sensitive to certain foods during their pregnancy and some foods should simply not be eaten during pregnancy. Yes, the food menu should be based on the above. I’m not saying to ignore the likes of the guests attending the party but you don’t want the mom-to-be to get sick either. There should be a variety of foods that she can choose from on the menu. Finger foods are the most convenient for baby showers. There is so much going on as far as everyone asking mom a zillion questions about her pregnancy, playing games, and opening presents. Choose appetizers that can be eaten at room temperature or order some of those 3-foot subs from the deli with a couple of cold sides and call it a day. If she has been craving any special foods, you would be a rock star if you included them on the menu. And of course, no alcoholic drinks should be present. I have hosted and attended showers, where alcohol was available. In my opinion, it should be totally omitted. Guests can survive for a couple of hours without cocktails. A fun idea it to make a big bowl of punch the same color as the theme that everyone can enjoy. Throw some teeny baby rattles in it, fruit cocktail or colored iced cubes and no one will miss the alcohol. 5. Deciding on what the parents need for the new baby will require a little help from mom and dad-to-be. If the mom has some time on her hands and is able to, ask her to choose one or two of her favorite stores, then go online to create a baby registry. Baby registries are simply the best way to go. If you leave it up to the guests to choose what they want to bring, the parents will most likely end up with 3 baby strollers, 5 tubs and 100 bottles of baby wash. Trust me, I have seen it happen. Yes, the stuff may be returnable to the store but who has time for that. Besides, the person that gave the gift may get offended if mom wants to return the gift for something else. I have seen it all! Creating a baby registry will also allow dad to participate in choosing items and this gives them something that they can do as a couple. 6. Now a days, men are not only welcome to attend Baby Showers but are encouraged to be present. Be sure to keep the fellas busy during the shower so that they do not get bored. Have food on the menu that they can enjoy and do not let them get out of playing the games. (LOL) When it’s time to open presents, the mom and dad-to-be should both have chairs and take turns opening the gifts. Most of the time, I find that the dads want to participate and not be left out. The women usually get so much of the attention throughout the pregnancy, so this is a time for dads to feel some love from friends and family. 7. On the day of the shower, have a couple of people on hand to help with facilitating games, serving food and drinks, keeping the gifts organized and cleaning up. This should be the last thing that the parents-to-be should have to worry about. If the Baby Shower is taking place at their house, they should not have to set-up for the party and definitely not have to clean-up afterwards. This is the day for them to be spoiled and relaxed. It may the last time that this will happen for a lonnngggg time. The main thing is that the Baby Shower be as fun as possible. This is a party that the parents will remember for the rest of their lives. Not to mention, the baby will get to see the pictures and memorabilia one day and he/she will know that they were loved before they were even born. That’s the best! Singles, couples, males and females will luxuriate in a day of pampering, grooming, shopping and sweet treats. Parents, no worries, there will be licensed, day-care providers on hand to care for your kids while you enjoy yourself. Sweet-Touch Pamper Me Party will take place on Feb 12 at The Metropolitan – 675 Metropolitan Pkwy. Atlanta. The event will be hosted by Elaina M. Whitley of Enjoy Yourself Events. 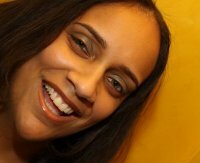 She is a reputable event planner known for elite and VIP events in Atlanta and New York City. The event will take place from 12:00pm until 6:00pm and will feature local vendors displaying everything from jewelry, handbags, natural bath & body products, men’s and women’s accessories, clothing, environmentally-friendly candles, an array of desserts and more. In addition, professionals will be on hand to offer pampering and grooming services for men and women such as mini-manicures, mini-massages, make-up and eyelash application.